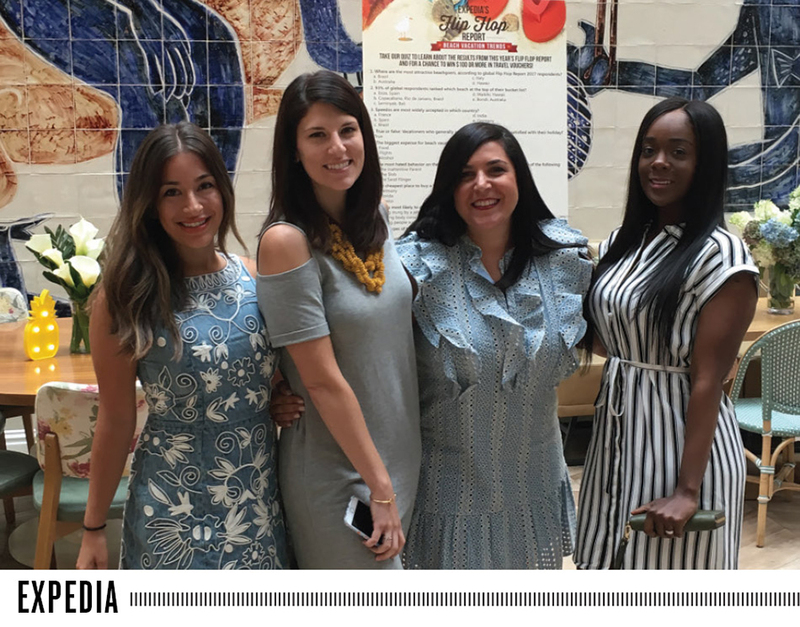 PRWeek Best Places to Work 2017 U.S. Successful employers listen to and empower their entire staffs, and none do it better than these organizations. Organizations that earn the "top workplace" moniker do so on the strength of both their physical workspaces, as well as elements that employees can take with them anywhere they go. 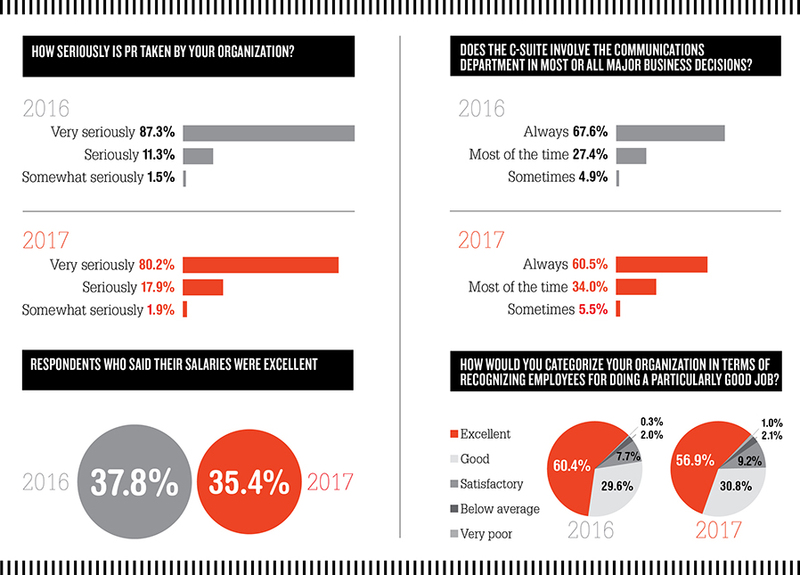 This was underscored by the 2,720 individual responses — representing 78 organizations — PRWeek received in response to its 2017 Best Places to Work survey. But one thing is clear: Staffers are happiest when their employers give them the flexibility and respect to determine where, when, and how they work — both in and out of the office. Leaders from previous Best Places to Work honorees, as well as judges of this year’s PRWeek program, say the approach leads to the design of a more productive physical workspace, fosters collaborative relationships among coworkers, and leads to perhaps the most important factor in employees’ eyes — a good work-life balance. Flexible space and work arrangements are workplace musts, but it’s a nut many organizations have not totally cracked. In fact, only 61.6% of this year’s Best Places to Work survey respondents categorized their workplace flexibility as excellent, while only half rate their workplace as excellent for inspiring creativity and fostering collaboration. And that perfect solution is elusive. Open floor plans have been a recent rage, but more and more organizations are hedging a bit. "A lot of companies moved to an open plan to foster collaboration," notes Jamie McLaughlin, president of Capstone Hill Search, "but there’s been a rethink about that." Jaya Bohlmann, VP of recruitment at PR Talent, adds, "Many companies do equate open floor plans with higher levels of collaboration, but we have yet to see a direct link from that to employee satisfaction." The answer would seem to lie in combining three elements: an open plan area for desks, private rooms for quiet and concentration, and small spaces where people can break away and collaborate. Barby Siegel, CEO of Zeno Group, a multiple-time honoree, has seen firsthand the benefits of such options. Flexibility for her firm’s employees can mean working in a nearby outdoor space, a local coffee shop, or at home several days a month. "In many of our offices we provide easy access to an outdoor space in which to work," she explains. "This jump-starts creativity. And people feel better getting a breath of fresh air in the middle of their day." Proactive employers also welcome staff input on design decisions. "It’s critical to ask employees what will make a difference [to them] and recognize that all employees will respond differently," says Rbb Communications CEO and managing partner Christine Barney, whose firm was honored last year. "Some will want a standing desk. Others will want to sit on a ball. Some want a noisy group scene, while others want privacy booths. It’s important to offer different options. Even the same employee will have different needs depending on the day." Another key ingredient is fun. Nearly three out of four (72.9%) of this year’s survey respondents rated their organizations as excellent for including work areas designated for relaxation and fun. However, it’s not enough to simply have the options available. "Businesses can have these great spaces with a slide going into the office or pool tables everywhere," says McLaughlin, "but if the culture isn’t encouraging people to use them, they become almost a negative, counterproductive presence." Barney cautions against making assumptions as to what employees will most value. One might think a pingpong table will be universally loved, but many employees might prefer a juicing station. Taking the time to really know what motivates your employees will inform smart design choices. "You want to design the space to enhance productivity," she explains. "When you give people the tools and the environment they need, you end up with happier employees and lower turnover." Camaraderie tends to boost productivity, but true team building is about creating opportunities for employees to connect in meaningful ways. "While off-sites and volunteering can be fun, the lasting impact is not as valuable as using real-life team situations," offers Barney, who believes camaraderie is best generated through programs that acknowledge and reward teams. "If the only rewards you give are to individuals, you’re not really saying to your employees that you value teams," she says. 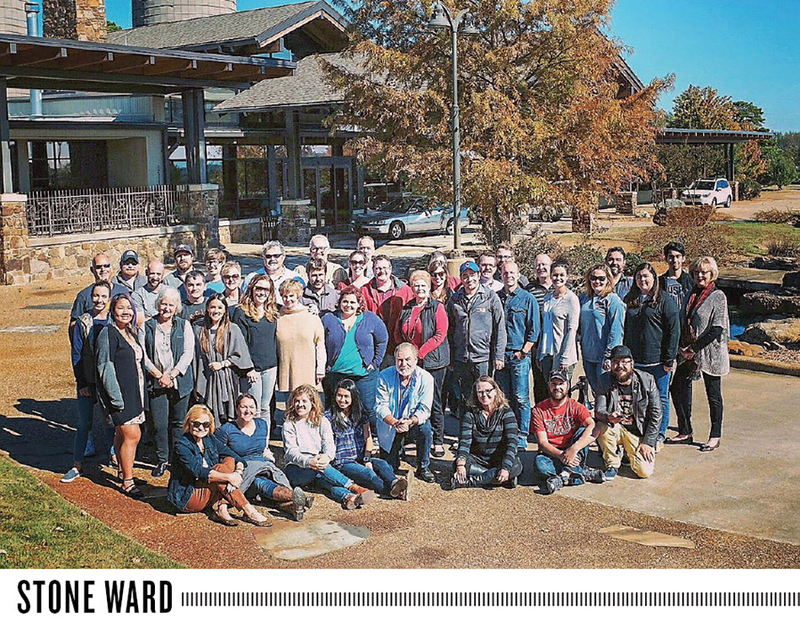 At Rbb, one such example is a client-service awards program that recognizes stellar teamwork with a half day off and $800 for the winning team to spend on a group activity. Camaraderie is also enhanced when employees understand what others contribute to the organization. "Whether you job share for a day or two or you break things up by sitting the account person next to an HR person, it’s important for teams to interact," advises McLaughlin. "Learning about what someone from outside your department does and how far they go to do that job well is a powerful tool for building a team." "We encourage as much face-to-face interaction as possible," notes Siegel. "We move people around so they can spend time in other offices. We encourage our staff to spend an extra day visiting an office if they are traveling for work. ‘Tour de Zeno’ is a popular annual program where two staffers are given the opportunity to visit and work from another Zeno office of their choosing anywhere in the world for two weeks." With today’s 24/7 demands, creating work-life balance is more challenging than ever. Survey results reflect this, as only 56% rated their company as excellent in promoting a good work-life balance for employees. "It’s not even about balance anymore," suggests Bohlmann. "It’s about work-life integration. We no longer address our professional lives from 9 to 5 and our personal lives during evenings, weekends, and an annual vacation. We want to address our whole life all the time and experience a high quality of life holistically. And we expect employers to do their part in supporting that goal." "Offering one flexible Friday a month is not creating work-life balance," emphasizes Barney. "It’s just a Band-Aid. People fool themselves into thinking they have provided a better workplace when they have just officially provided some tools that don’t apply to everyone. It creates an ‘us and them’ not a ‘we’ culture." She adds the rules must apply to everyone, from receptionist to partner. The fair-minded approach wins loyalty and creates camaraderie in an industry where everyone is working harder and faster. "We try to be as individually humane as possible," says Peter Prodromou, president and CEO of Racepoint Global, a 2016 Best Places to Work honoree. 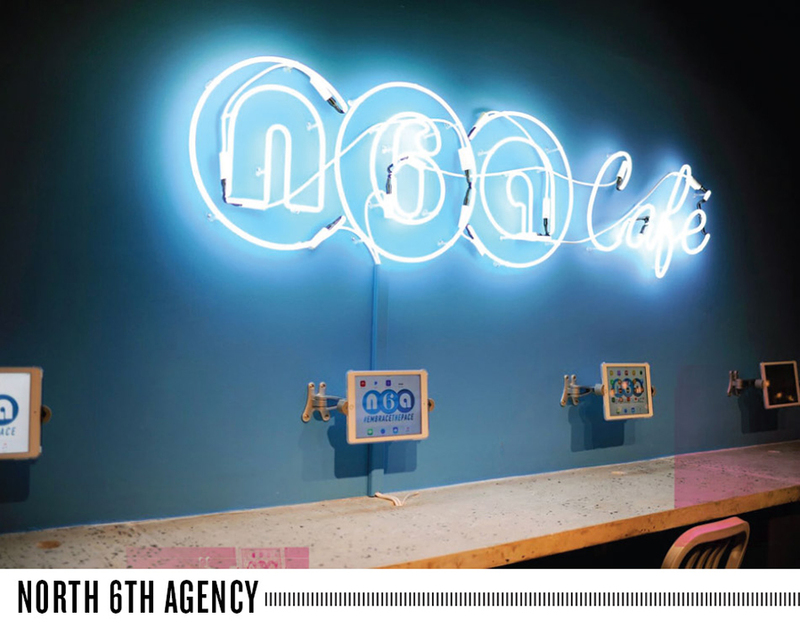 "Agencies that are humane become that way because the individuals that run them grew up in less-than-favorable environments and want to create something different." The very best places to work offer programs that address employees as people, rather than commodities. Effective programs include ways to keep employees healthy (gym memberships, on-site fitness, stipends for spa services), enable them to travel (stipends and work-related travel perks), take care of their families (time off for medical and personal care, various insurance offers), and learn and develop professionally (training programs, education allowances). In determining the programs and benefits to offer, Bohlmann says, "The best companies are continually asking and listening — with openness — to employees, and putting this information into action." More than ever, corporations are embracing a "doing well by doing good" ethic — an approach that particularly resonates with younger employees. In fact, a company’s success — or lack thereof — in this regard is increasingly impacting how staffers view their employers. "People just entering the business are much more cause-focused," says McLaughlin. "They think about social change and social good all the time." To truly walk the walk, Bohlmann advises that companies must align their stated corporate values with their practices and behaviors toward all stakeholders — including employees — and through their cause-related programs and activities. "Scrutiny based on mistrust of companies has never been higher," she underscores. "Reputations can fall overnight if this alignment is off on any level." A commitment to improving corporate citizenship has paid off for many corporations. The 2017 Deloitte Millennial Survey reveals that more than six in 10 millennials view business leaders as committed to helping improve society, up nine points from the 2015 study. The number of respondents agreeing that "businesses behave in an ethical manner" increased 13 points over the same time period, while criticism of business — respondents agreeing that "businesses focus on their own agendas rather than considering wider society" — dropped 16 points. While that’s good news, the results of PRWeek’s 2017 Best Places to Work survey suggest there’s room for improvement. 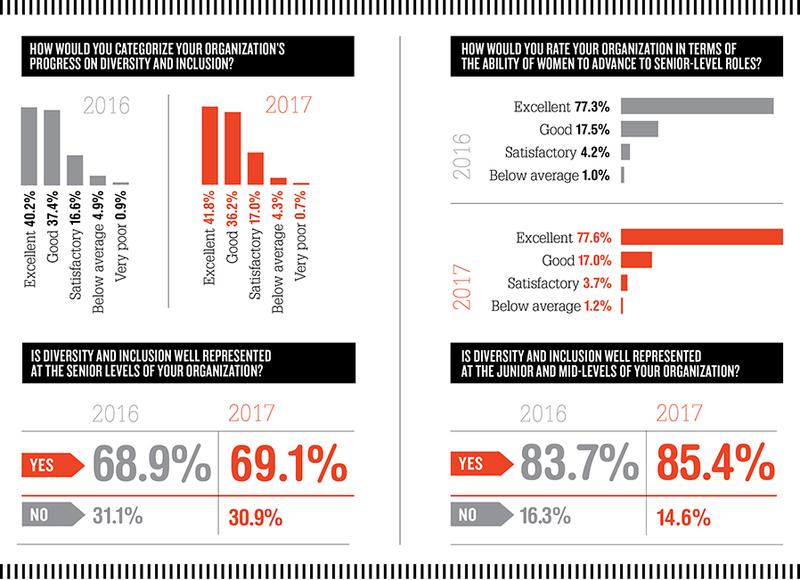 Just less than 60% rate their organization’s positive social impact as excellent, while just more than half (54.2%) rate their organization’s charity efforts as excellent. Contributing to charitable causes is clearly an area that deserves more focus. Deloitte’s survey shows that only 54% of millennials say their workplace provides them opportunities to contribute to charities/good causes. This is an opportunity, though, as that same study reveals employees provided with an opportunity to pursue charitable activities in the workplace show a greater level of loyalty, more positive opinion of business behavior, and are less pessimistic about the general social situation. "The best companies engage in philanthropy on national, global, or local levels — or all three — based on their company’s mission and strategy," reports Bohlmann. "And they engage their employees in their cause-related programs through volunteering, donating, and instilling in their companies a culture of giving." While companywide volunteer days can be team builders, Bohlmann says the leading companies let employees choose their own causes. "For most, a one-size-fits-all approach is not the right answer," notes Barney. "You must find a way to make people feel that the company cares about all the issues, not just the ones that are important to the owners. Giving employees the opportunity to design, create, and control the programs that are most meaningful to them is what will make the difference." At Rbb Communications, employees are offered one paid day to work at a charitable organization of their choice. "If an employee volunteered a certain amount of their own time, we’ll match their time with dollars," explains Barney. "We also have a matching contribution program." When two groups of Rbb employees decided to work on back-to-school backpack programs, Barney suggested they work together. "They did a great program and teamed up with people with whom they would not ordinarily work," she says. That’s a win-win for employee camaraderie and citizenship. 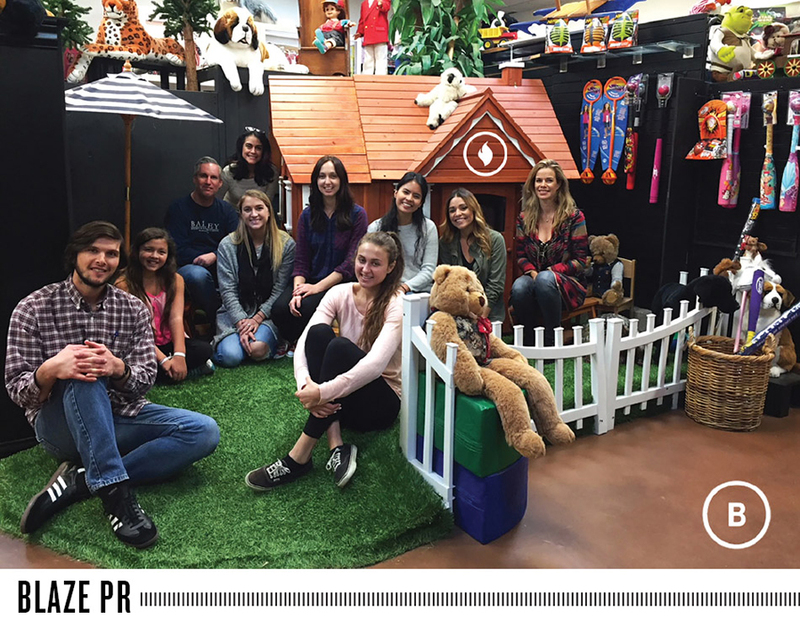 A challenging yet fun workplace culture and client work that makes employees "want to jump out of bed in the morning" helped earn Blaze PR this honor. Judges were impressed with the staff’s access to leadership, good training opportunities, and flexible benefits. Employees were effusive about the firm’s empowering workplace environment. "Leadership is egoless and approachable," noted one employee. Individual accomplishments are recognized companywide by the president each month. Employees also mentioned a number of other benefits, such as the ability to bring their dogs to work or convert unused vacation time to donate to a nonprofit of their choice. Judges noted how Blaze’s dedication to staff clearly pays off in low turnover, as the firm hasn’t lost an employee in more than a year. "You could clearly sense how motivated these employees are," noted one judge, capturing all arbiters’ sentiments about Davies. The firm’s strong commitment to developing employees was evident, with particular recognition of its effective mentorship and reverse mentorship programs. Employees also made it clear the agency gives them the tools they need to succeed. "Unlike any other place I’ve worked, Davies emphasizes skills development," reported one employee. One factor judges noted was the consistent praise staffers heaped upon the agency’s CEO. 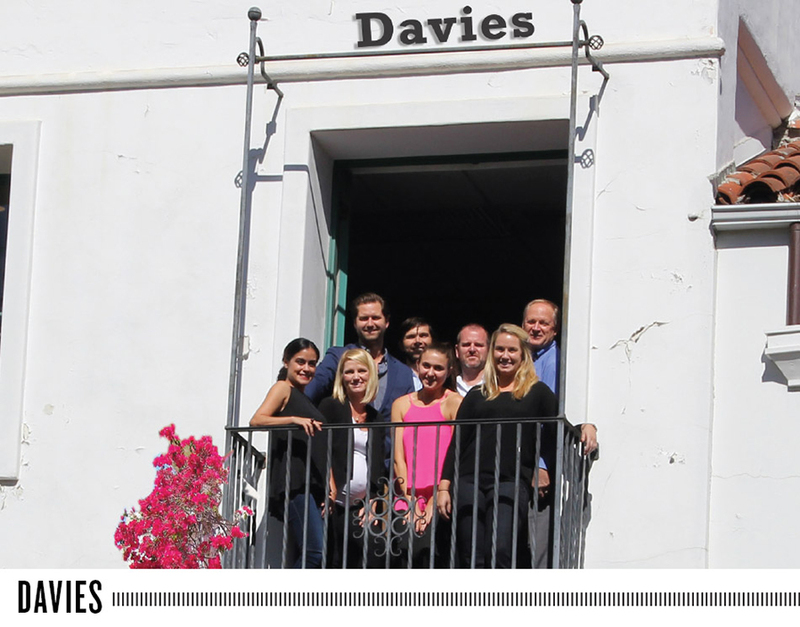 "John Davies is a mentor, coach, and cheerleader to help all of us grow," said one staffer. Davies’ robust benefits and competitive compensation also stood out. "We get to share in the company profit like no other agency," explained one employee. It’s not easy to encourage employees to work remotely while maintaining strong collaboration in the office. Judges were impressed with North 6th Agency’s ability to do both. The firm makes work-life balance a priority with unlimited work from home and early Friday dismissal. At the same time, employees praised the camaraderie they have with colleagues. The firm uses a digital online monthly performance review system to provide transparency and motivation. CEO Matt Rizzetta also earned high marks from staffers, particularly for how transparent he is about the agency’s direction. Recognition is critical to the firm’s success. The Producer of the Week awards give top performers a $1,000 raise. "It seems to be spearheading the way for employee appreciation," noted one judge. Only two years into its existence, Vested has quickly established itself as a firm that offers one of the most robust employee benefit packages in the market. Vested employees are entitled to equity in the firm, unlimited vacation, a three-month sabbatical after four years of employment, and the use of the company account at Starbucks, Bluestone Lane, and Uber. Numerous employees noted how the equity they have in the firm ensures they are all part of key conversations. Professional growth might be a staple of many organizations, but judges were particularly impressed that such a young company was able and enthusiastic to offer so much support on this front. "Vested rewards initiative," said one staffer. "The opportunities are unlimited if you seek them out." Employees lauded Brodeur as offering the ultimate in workplace flexibility. In fact, the firm received perfect scores on this front. Moreover, despite having offices across the country, the agency maintains a strong companywide bond and places a high value on employee camaraderie. Staff members say CEO Andrea Coville is accessible to all and transparent, communicating regularly on agency goals and developments with all staffers. 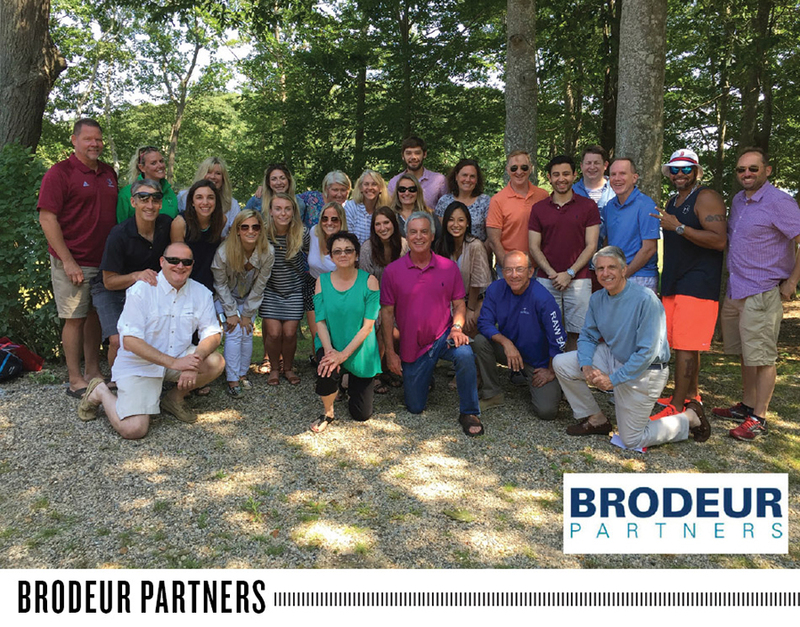 With a robust in-house professional development program that ranges from internal training to broader-level thinking, staffers gave Brodeur high marks for encouraging them to think outside the box. "Our CEO encourages vacations, office outings, and other work-life balance tactics that set a great example of what that balance really is," said one employee. In reviewing the staff submissions, judges were blown away by how frequently the word "family" was used when employees talked about their coworkers. 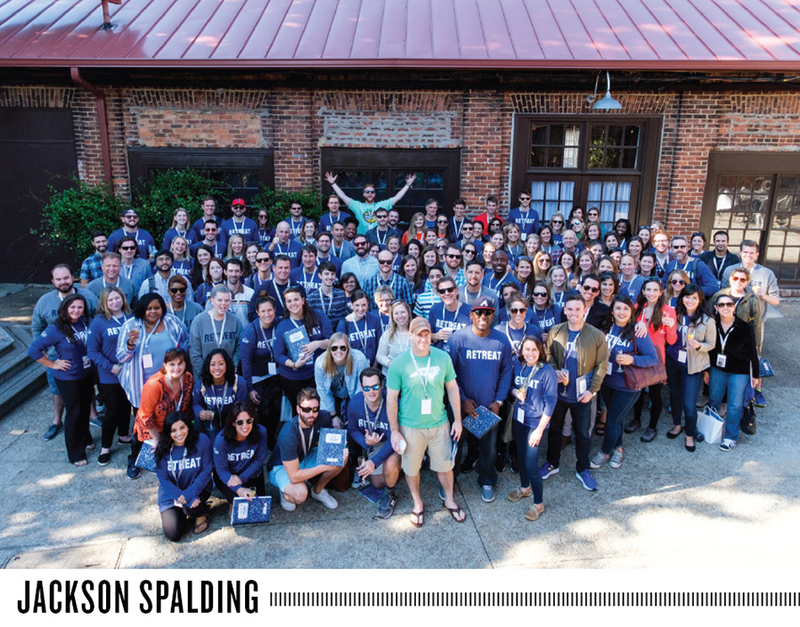 Jackson Spalding jettisoned titles to adopt a mentor structure that fosters a constructive, challenging environment with teamwork at its core. The flat leadership philosophy allows staffers to take on new roles. Staffers also praised the firm’s transparency. "We discuss our financials at every meeting and provide open office hours weekly with executive team members," an employee reported. In recalling a recent interview with cofounder Glen Jackson, one employee noted being asked, "How can we convince you to stay here for a very, very long time?" Judges opined that sentiment might certainly explain Jackson Spalding’s low turnover. 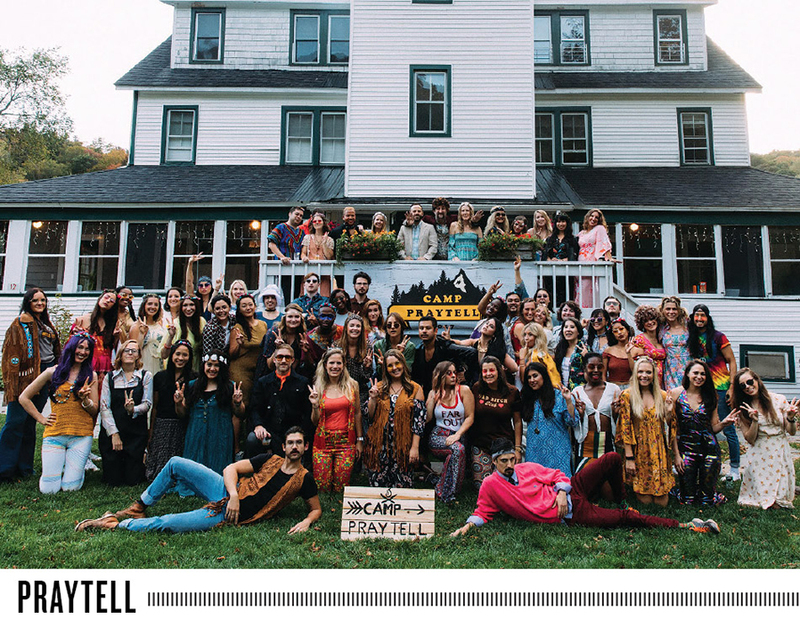 A Best Places to Work honoree the past three years in the small agency category, Praytell won judges over this year by growing the business but still maintaining enviably high standards for work-life balance, workplace flexibility, and employee camaraderie. Staffers are proud of the fact Praytell has never lost an employee to another firm, and love the company’s monthly wellness stipend, unlimited vacation, pet insurance, referral bonus, and commuting funds. The firm also netted high marks for transparency, with agency leaders earning plaudits for being clear and candid about new business pitches, clients lost, and financial challenges. "Whether it’s new puppy leave or summer Fridays, Praytell goes out of its way to ensure employees have the mental space they need," raved one staffer. "Employees really seem to have fun working at Stone Ward," noted one judge. "Every day at 3 p.m.," reported one staffer, "we play a game of foam basketball indoors. It provides lots of laughter." Flexible work hours, a dog-friendly office, and a focus on continued professional and personal development were notable attributes myriad staffers talked about. In addition, perfect scores on performance reviews — the only firm in this category to achieve that — truly impressed the judges. The company’s Done Good program, which recognizes employee efforts with a handwritten note and Amazon gift card, got a number of shout-outs. Judges also took note of how employees are encouraged to spend time away from work for family events to maintain a healthy work-life balance. The larger the firm, the more challenging it is to achieve true agencywide collaboration. On this front alone, Allison+Partners scored major points. Of course, the positive sentiments went far beyond that. "Extraordinary culture" was a term used by every judge based on staff feedback. Allison+Partners is committed to development and its employee training and career development includes the globally implemented Allison University program, educational webinars, a mentor program, and an open-door policy fully embraced by the C-suite. Employees raved about benefits, including a one-month paid sabbatical after five years of employment, a one-week winter break, birthdays off, and extended lunch hours on Workout Wednesdays to encourage exercise. "I continue to be amazed at how great the benefits are," noted one employee. "They are better than the Fortune 500 company from which I came." The agency also fosters strong relationships between employees across offices and practices. 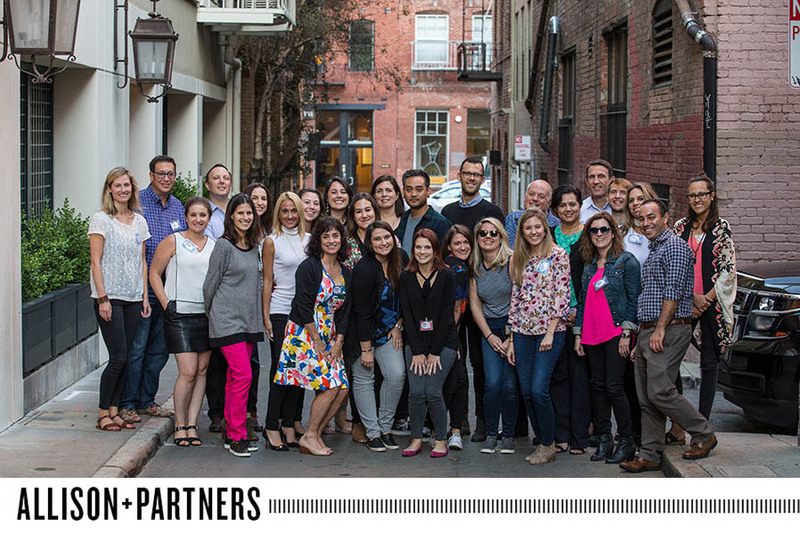 "Allison+Partners puts culture and people first," added another staffer. "It really is one of the best places to work." Best Places to Work honorees sometimes have great comeback stories. Last honored in 2013, the agency went through some well-documented struggles in recent years, underscored by very high turnover. 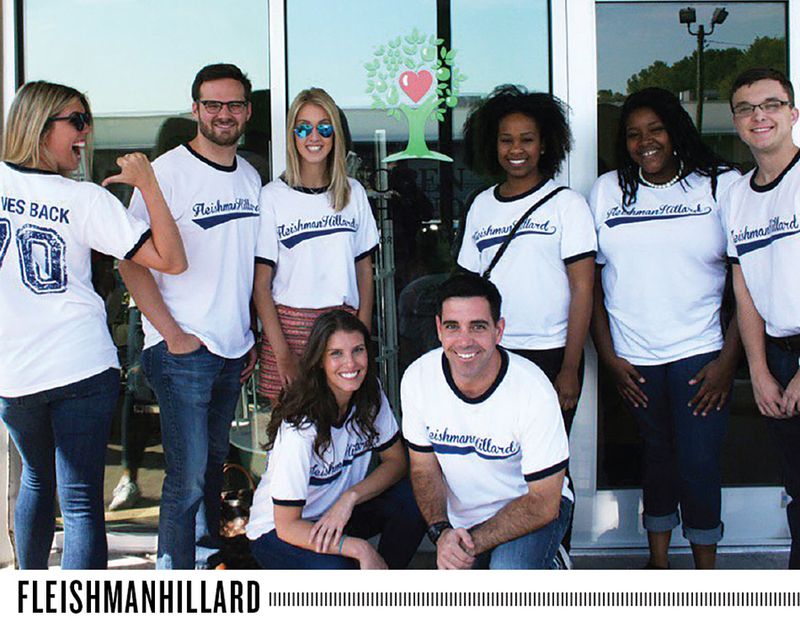 But "employees clearly feel FleishmanHillard has found its groove again," suggested one judge. The firm scored high marks for offering numerous employee development opportunities across all levels. "For an agency this size, all staffers seemed to have a very good grasp on their career trajectory," explained one judge. CEO John Saunders received a number of shout-outs from respondents. "He is transparent, a visionary, and motivating. He is also a kind, caring person," noted one employee. The agency increased vacation days across the board — a huge hit with employees — and added Fitness Fridays and a 10-day wellness and family time benefit. The firm also recently rolled out family days and paternity leave. "I love that ‘sick’ time is now considered ‘family and wellness’ time," said one staffer. "Work-life balance is a major plus at the firm," added one judge, "with all the recent changes to HR policies." Across the board in reviewing staff survey feedback, Zeno Group’s culture of recognizing and valuing employees was impossible to miss. 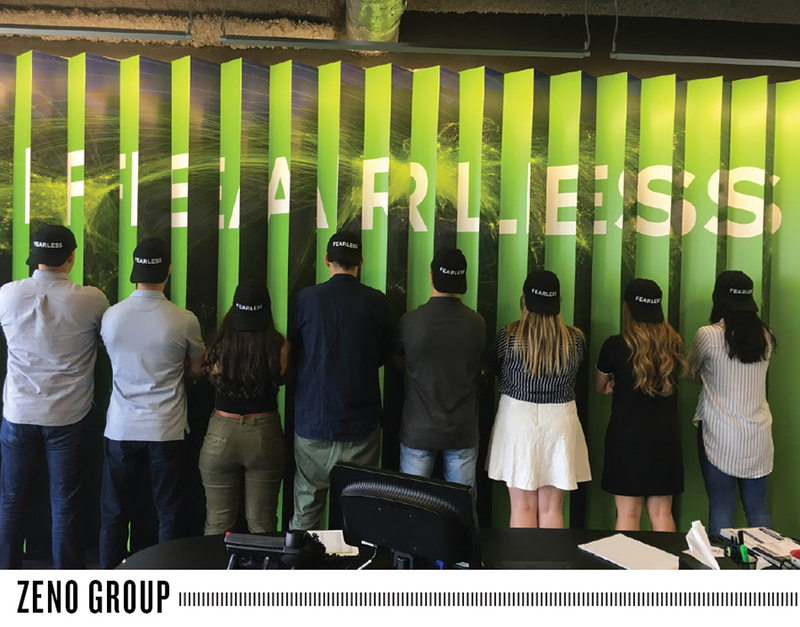 "Fearless" is a term this agency uses to describe itself externally. "Zeno has an entrepreneurial culture that encourages and rewards team members to take charge of projects, initiatives, and their career," shared one staffer. The firm has a generous bonus program and scores particularly well for rewarding high-performing employees. There are weekly in-office awards for great client service and exceptional teamwork, as well as the annual "Dan" award, which spotlights a rising star (named after Dan Edelman). Zeno also awards five Hit of the Month performance-based gift cards recognizing outstanding earned media placements, letting employees know their efforts are appreciated. Other perks include ZenoFit, a monthly stipend for something that promotes health and relaxation. "Employee recognition sets the agency apart," opined one judge. "This is particularly important for junior staffers, whose work is often behind the scenes. It also helps explain the low turnover rate, particularly for a larger firm." Companies get kudos when they exhibit an ability and willingness to listen to their employees’ wants and needs — and act upon that intelligence. Based on survey feedback, Expedia excels on this front. Additionally, judges noted the great access all staffers have to senior-level and C-suite executives and the opportunity to work in other offices. "The internal comms team is very tuned in to employees," noted one team member, "responding to questions and coordinating across offices around the world to ensure staff are happy." Expedia scored high across the board on employee advancement and development, camaraderie among employees, and work-life balance. 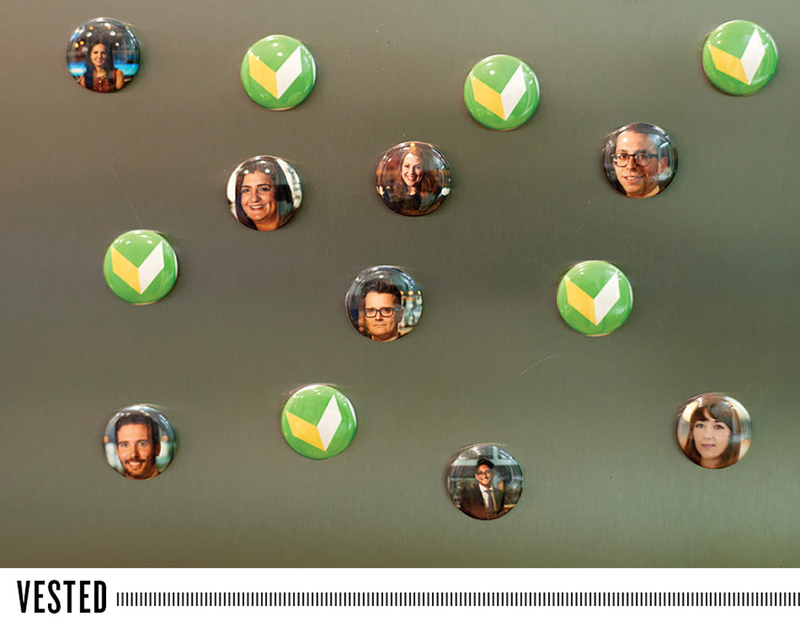 The communications team embodies Expedia’s overall culture of trust and flexibility. "I previously didn’t believe I could ever have balance," said one employee, "but at Expedia, balance is a huge priority and it starts with the CEO." The company also scores high on benefits, which include wellness compensation that covers fitness purchases, generous parental leave, and a personal travel allowance. Based on feedback, JetBlue takes its "You Above All" slogan as seriously for employees as it does for customers. "Crewmember experience is equally as important as customer experience," said one employee. "JetBlue cares about me. That motivates me." Judges found that sense of camaraderie just as apparent between staffers, which further underscores the airline’s internal culture. Moreover, management clearly empowers all team members to play a key part in nurturing it. Employee enthusiasm is also prompted by the strong benefits offered. 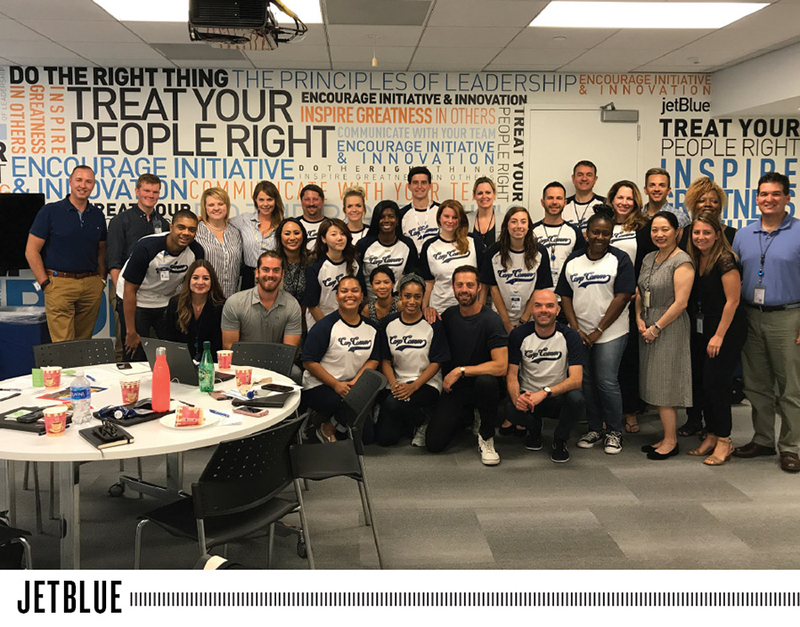 From onboarding training at JetBlue University to opportunities for professional development, management invests in developing its people. Judges also highlighted the numerous perfect scores given by employees on a variety of matters, including internal comms, community involvement, and transparency and accountability. The company’s 401K plan also earned perfect scores — the only in-house entrant that could make that claim. "We work well together and support each other," noted one respondent. "That helps us accomplish a lot both internally and externally." 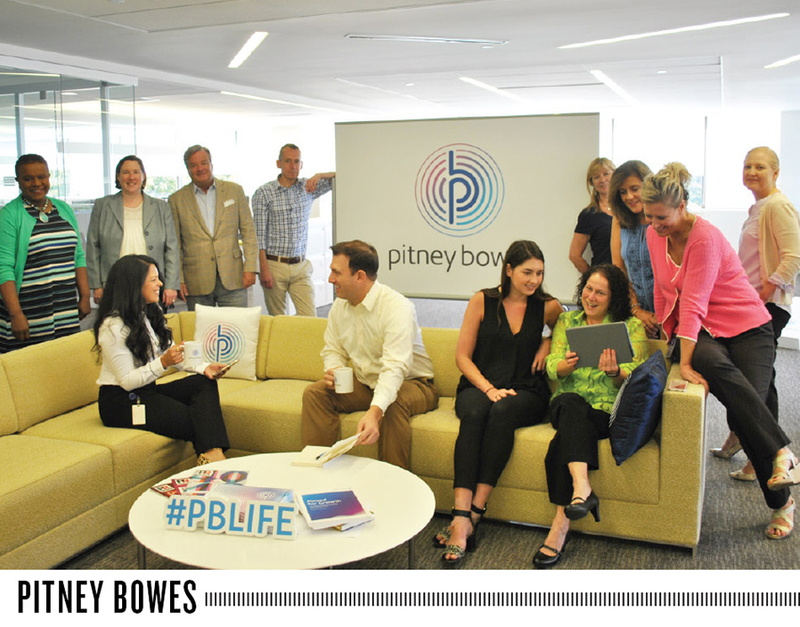 With work-life balance scores that were the best among all category entrants, as well as clear commitment from the C-suite to encourage flexibility, the judges were not surprised that Pitney Bowes has very low turnover. In summarizing the broader team’s sentiments, one employee raved about the "uniquely familial quality embedded in the culture of this almost 100-year-old company." This year’s judges noted Pitney Bowes’ management does a great job of "encouraging staffers to share best practices amongst themselves." Employees have access to great collaboration tools, making it seamless to engage with colleagues worldwide. Swapping roles across regions, teaming with other functional groups on large projects, and a self-publishing intranet model all contribute to a strong, collaborative team with a single mission. Pitney Bowes received very high marks for internal comms, transparency, and community involvement. In addition, staffers made special note of the new connected headquarters, which explains the high marks received for being a top physical workspace.